Transport yourself to a flavor paradise. Each bottle is deliciously layered with Fuji Apples, Eastern Fantasia Nectarine and subtle hints of sweet Aliso Strawberries. 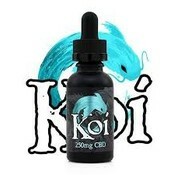 30ml bottle containing 1000mg of Full Spectrum Vape Juice. 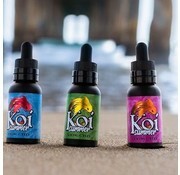 Flavor is Watermelon Green Apple Sour, a CBD additive that can be used: sublingually, added into your favorite e-liquids, added to your food or drinks, or vaped alone. 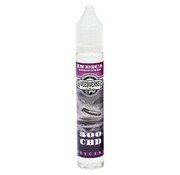 Flavor is Blue Raspberry Dragonfruit, a CBD additive that can be used: sublingually, added into your favorite e-liquids, added to your food or drinks, or vaped alone. 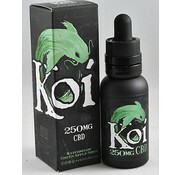 Koi CBD expert mixologist has crafted a delicious blend of Raspberry Iced Tea. With each inhale you’ll experience the taste of sweet delicious summer raspberries, layered with undertones of classic iced tea. 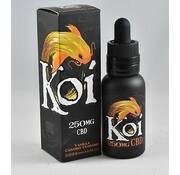 This 30 ml bottle contains 50/50 PG/VG mix, 300 mg CBD, and terpenes. Flavor is Vanilla Caramel Custard, a CBD additive that can be used: sublingually, added into your favorite e-liquids, added to your food or drinks, or vaped alone.